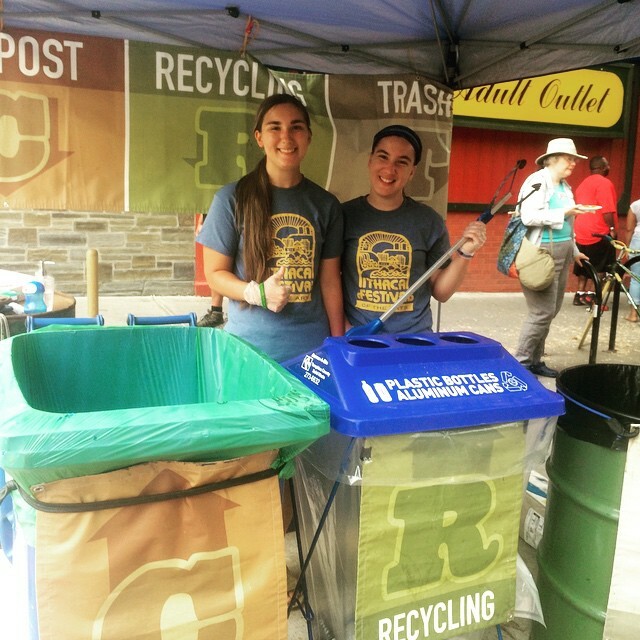 Tompkins CRT is a program supported by the Tompkins County Department of Recycling and Materials Management that works with volunteers and festival organizers to implement waste reduction strategies at festivals within Tompkins County. 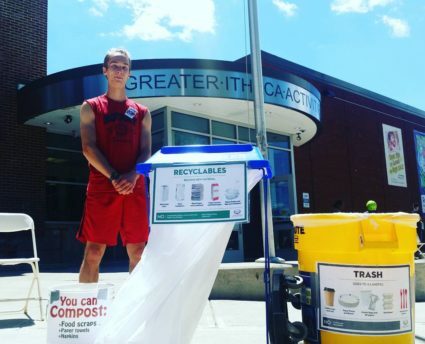 With an acronym standing for Compost, Recycling, and Trash, the goal of these efforts is to divert as much waste as possible while also educating festival-goers. It also aims to prevent contamination of compost and recycling bins. When well-marked signs aren’t enough, CRT volunteers keep a watchful eye over the bins. Tompkins CRT has ongoing relationships with Ithaca Festival, the Community Fireworks show, the Grassroots Festival of Music and Dance, the Downtown Ithaca Apple Harvest Festival, and others.